Consisting of 66 antennas, ALMA is revolutionising the way that we see the Universe. As well as helping to image black holes, ALMA gives astronomers an unprecedented capability to study the cool Universe — molecular gas and dust as well as the relic radiation of the Big Bang. ALMA studies the building blocks of stars, planetary systems, galaxies, and life itself. 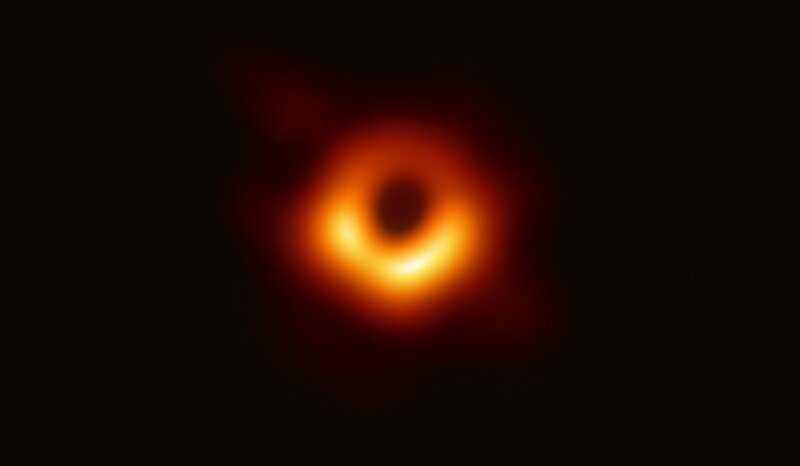 The shadow of a black hole seen here is the closest we can come to an image of the black hole itself, a completely dark object from which light cannot escape. The black hole’s boundary — the event horizon from which the EHT takes its name — is around 2.5 times smaller than the shadow it casts and measures just under 40 billion kilometres across. Analogue signals collected by the antenna are converted to digital signals and stored on hard drives together with the time signals provided by atomic clocks. The hard drives are then flown to a central location to be synchronised. 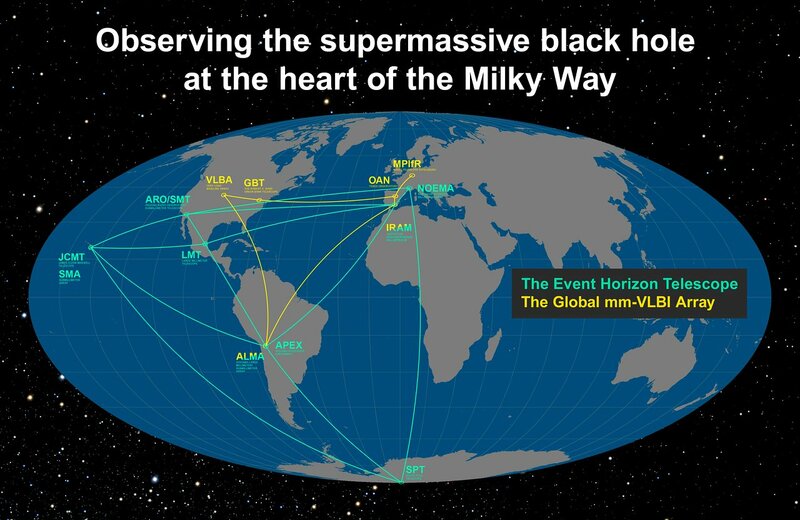 The locations of the participating telescopes of the Event Horizon Telescope (EHT) and the Global mm-VLBI Array (GMVA). HM: Aside from the people included in the author list of the papers, many other individuals enabled this discovery to happen. We are not only "standing on the shoulders of giants" who carved out the path towards the techniques and technology we currently use, but also on shoulders of hard-working people who build and maintain the antennas, correlators and software at these remote sites. 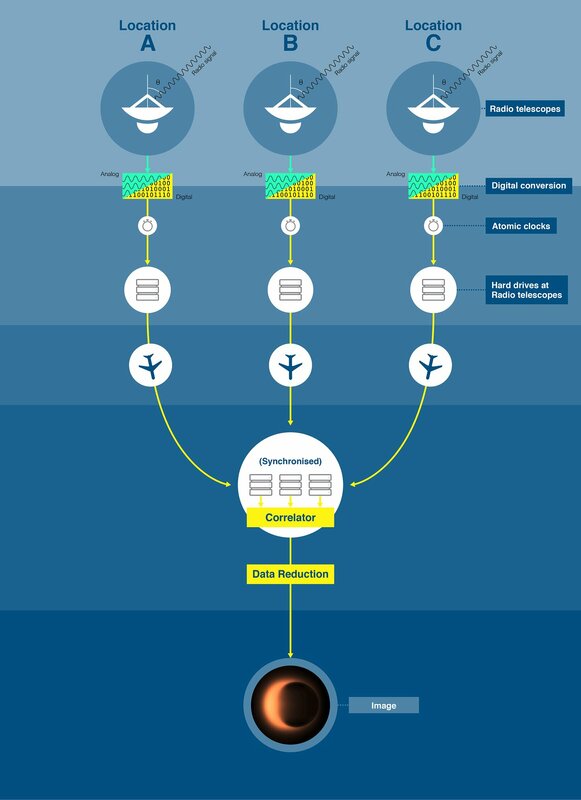 This is what enabled the discovery to happen. To them, I say a big thank you, as well as to the curious society that provided the will and, of course, the funding. These contributions were key to making this feat a reality! 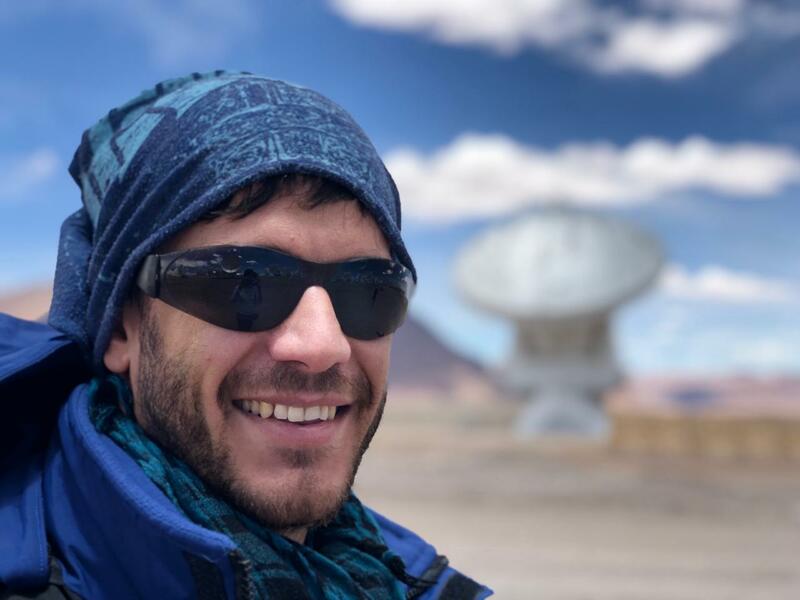 Rubén Herrero-Illana is an ESO fellow in Santiago de Chile with duties at ALMA since September 2016. He obtained his PhD in 2014 at the Instituto de Astrofísica de Andalucía, in Granada, Spain. His main expertise is studying merging galaxies by combining measurements of light at different wavelengths. In particular, he is interested in the correlation between supermassive black holes and star formation processes. Hugo Messias has been an ALMA Fellow in Santiago de Chile since September 2016. 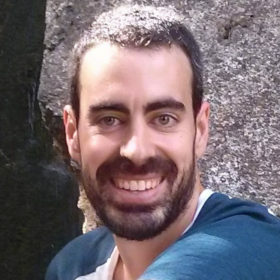 He is from Portugal, where he obtained his PhD in 2011 at the University of Lisbon, followed by post-doc experiences at Universidad de Concepción (Chile), and the Institute of Astrophysics and Space Sciences (Portugal). His main scientific focus has been on unveiling dusty environments in galaxies, be that extreme star-forming regions or accreting supermassive black holes, and investigating their role in shaping galaxy evolution. Science@ESO highlights the latest cutting-edge science done by ESO astronomers. Find more interviews about ESO research and observing facilities here on the ESOblog.